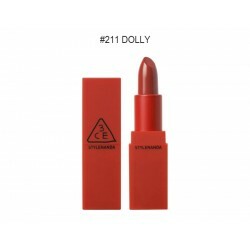 3CE Red Recipe # 211 Dolly - This is a reddish-orange color that is suitable for many skin tones from healthy to bright white. However, the unification is still the girlfriend skin tone dark red, orange red you always active, youthful but not lose the charm is inherent. 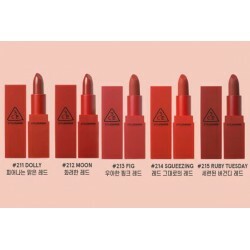 Under the group of satin, # 211 is a lip gloss with a light shadow effect on the lips are extremely smooth, no ripple powder, easy to match with many girlfriend to get used to makeup. 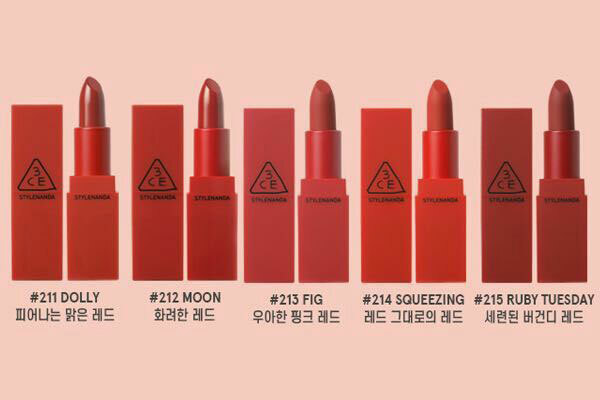 3CE Red Recipe # 212 Moon - is a bright red color that is not too bright but still brilliantly enhances skin tone effectively regardless of skin color. 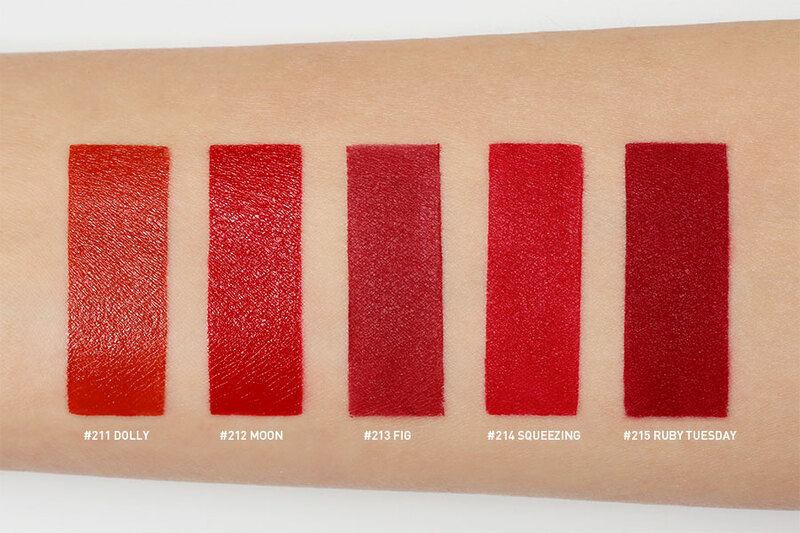 Plus a lightweight lip gloss, lip balm, # 212 lipstick is the # 1 bestselling lipstick in the 3CE Red Recipe. 3CE Red Recipe # 213 Fig - If you love a strange color but are afraid of "risky" beauty, then # 213 is a good lipstick you should consider. This is a bright red color between brown earth and pink in which the red rate is much greater. Besides the tone of this strange also possesses moisturizing lip balm, quite quite satin texture is quite impressive. 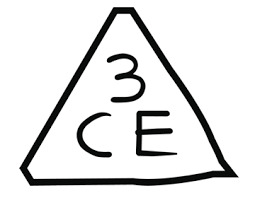 3CE Red Recipe # 214 Squeezing - is a smooth combination of three vibrant red - orange - pink, extremely young, not only match the Asian skin tone but also the green eyes of Europe. 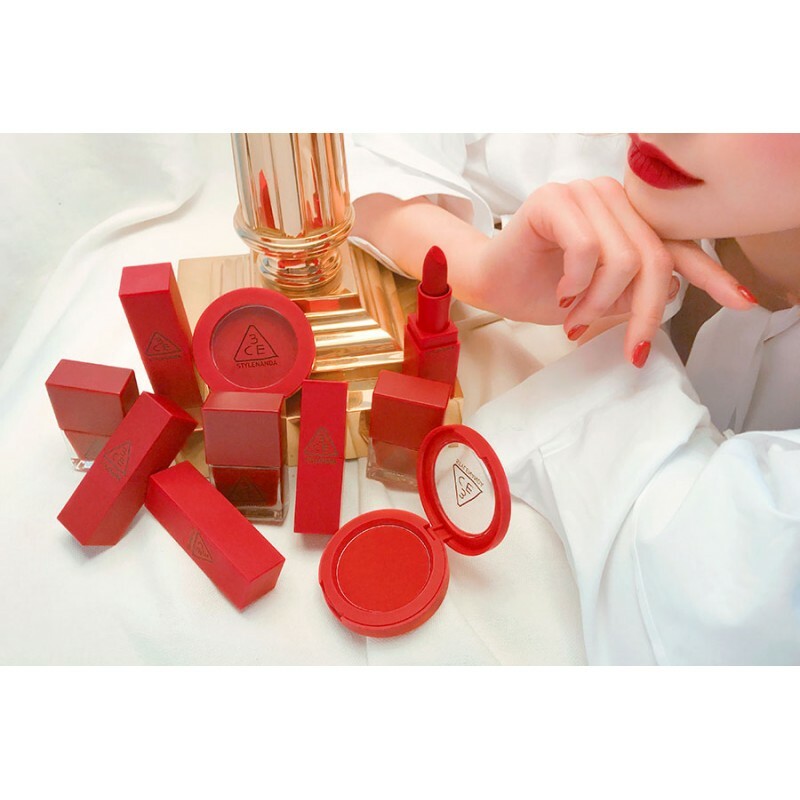 composite The new lipstick plus the lipstick with excellent adhesion as well as the ability to color like website images to 99%. 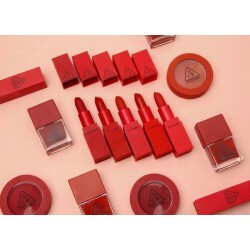 3CE Red Recipe # 215 Ruby Tuesday - is the deepest red color, this is the cool red lipstick extreme power, the second best BST. Not too fanciful, no cake, just a little cold on the lips makes you attractive and more attractive than ever. 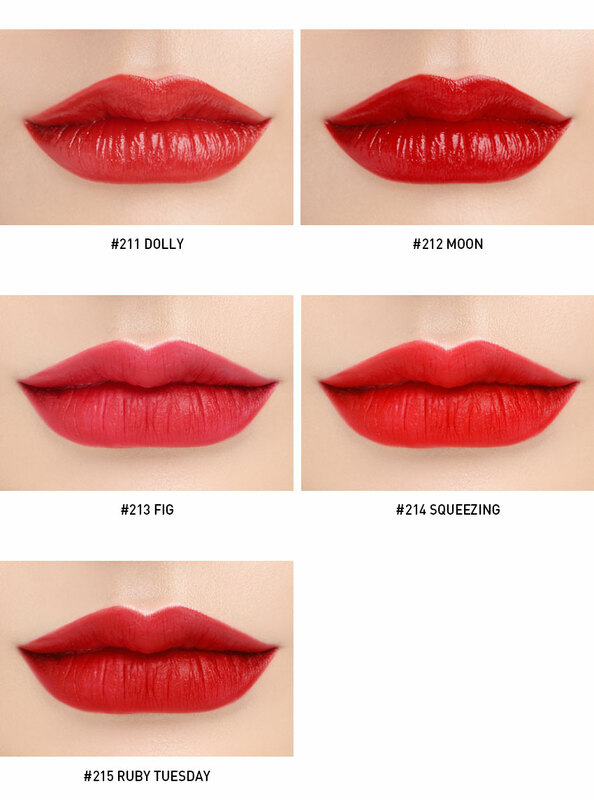 Above all, cold red is a bit like # 215 is one of the HOT Trend highlights in 2017, if you want to catch up with the times, why not choose a strong lipstick full of flexibility like this?